AIS: See and be seen. Stentec offers several different AIS systems. When you fill out this questionnaire you will receive the recommended AIS system according to your answers. What is the length of your ship? Length: 20 meters or more. The length of your ship is 20 meters or more. According to the rules of the Dutch Rijkswaterstaat, you are required to use AIS type A. We do not sell these types of AIS. 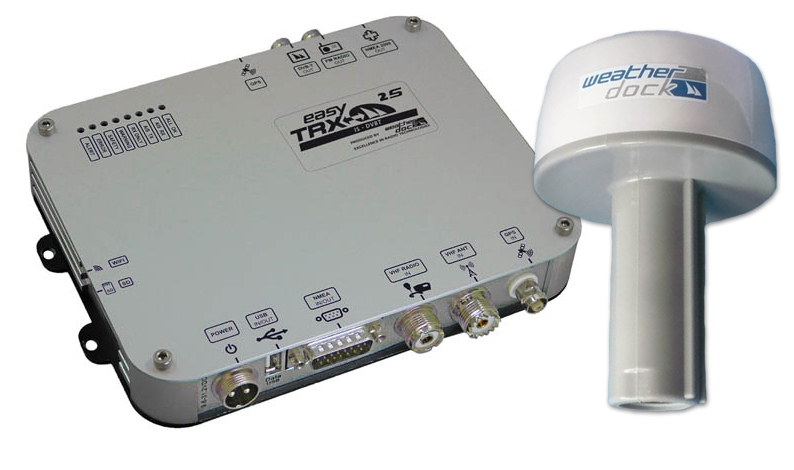 An AIS device transmits and receives AIS signals via a VHF antenna. Many of you have already installed a VHF antenna on your boat, which is often connected to your radio. This antenna can be used for both radio and your AIS equipment using an internal splitter. Disconnect the VHF antenna from your radio and connect it to the AIS. An additional cable is placed between the AIS and your radio. Through filtering and amplification of the signal you receive all VHF messages as usual. Of course you can always place a seperate VHF antenna, even if you have an AIS device with internal splitter. 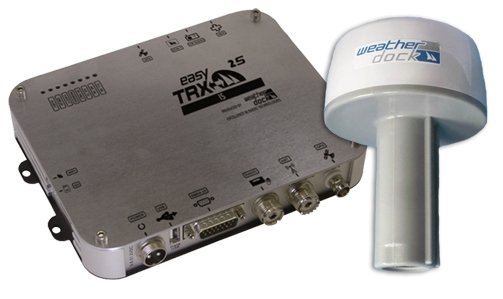 Do you want to use your current VHF antenna for your AIS device? The AIS can be connected using a USB cable to your laptop or onboard PC or via a serial cable to your plotter. It is also possible to opt for an AIS device with Wi-Fi. It allows you to connect wirelessly with your laptop, onboard PC, tablet or smartphone. Additional to USB and Serial connection, would you like to connect wirelessly via Wi-Fi? An AIS transponder always needs a seperate GPS antenna. The advantage of a internal GPS receiver is not having to install a loose GPS receiver and extra cables. Is your ship made of metal, you will need an external GPS antenna which needs to be installed on the outside of your ship. Do you want an internal or external GPS antenna? A TV/radio receiver can be added to a AIS device. The signal is received through the VHF antenna. Connect your onboard radio or TV to the AIS device and listen or watch to your favorite stations. Please mind: this option requires a good antenna installation. Do you want to connect TV or radio to your AIS? Only available with this option included. If you have onboard instruments which exclusively use NMEA2000 which you would like to connect to your AIS. 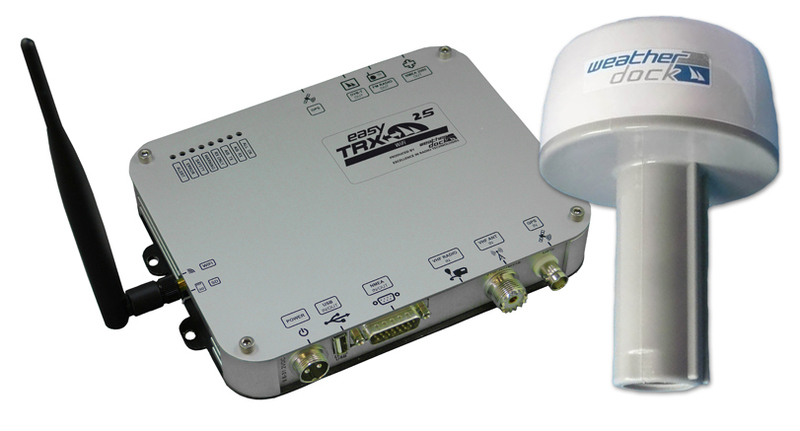 With this option the AIS system is able to connect to NMEA0183 and NMEA2000 devices. 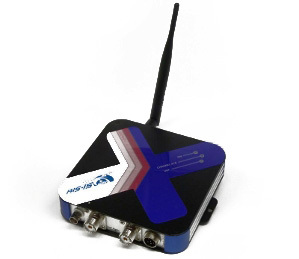 Do you want to connect NMEA2000 devices to your AIS system? With the EasyAIS receiver you will receive all AIS information which is broadcast via VHF. This signal in turn is translated to NMEA. With the correct hardware and software you are able to plot all AIS ships onto a chart. 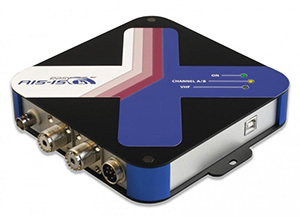 The EasyAIS-IS (splitter) receiver is an advanced version of the standard AIS receiver. 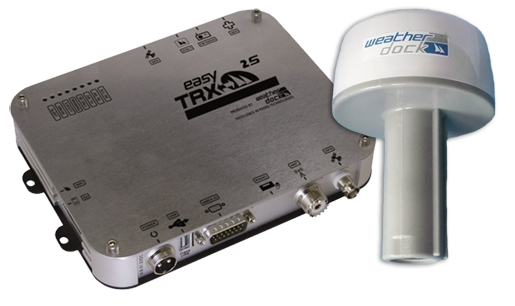 The EasyAIS-IS has been enhanced with several features which are directly taken from the EasyTRX Class B transponder. Included is a dual channel receiver, a VHF splitter and USB connection. 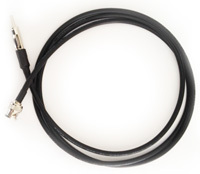 When choosing an AIS device with an internal splitter, this cable is needed to connect your radio to the AIS. 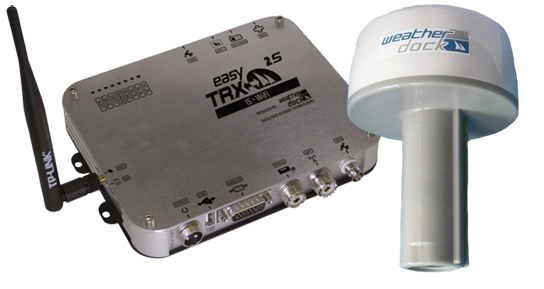 The EasyTRX²-S is an enhanced version of the EasyTRX² AIS transponder. The main differences are a faster processor, a 50-channel GPS receiver and a higher storage on the SD card (was 2GB and is now 32 GB). The modular construction are made different versions. All available options on an AIS system can be deduced while looking at the name of the system. 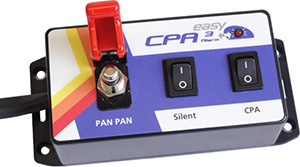 Connect this device to your EasyAIS transponder and you wil be able to turn on the 'silend mode' (your position will no longer be transmitted) or send a PANPAN (in need of help, not SOS) message with the flick of a switch. This system will also send out an alarm for potential collisions. 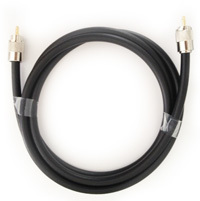 Connect your radio or TV to your AIS transponder through this cable.